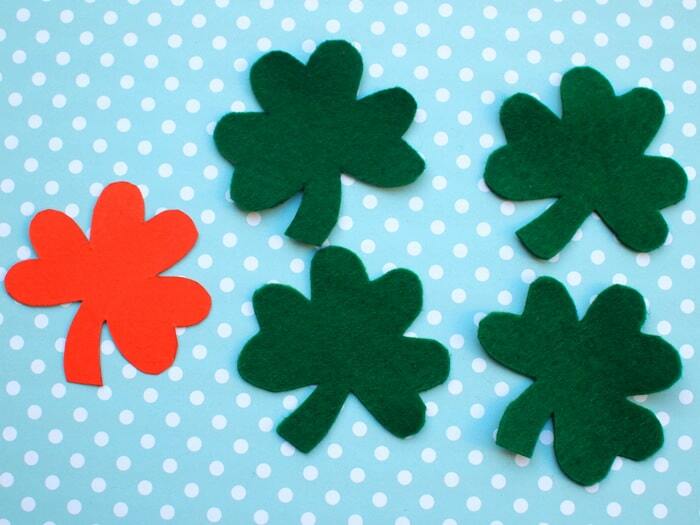 St. Patrick’s Day is right around the corner; celebrate with this unique shamrock craft! 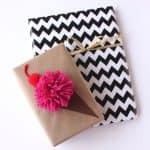 Kids will love making and wearing this fun and festive headband. Do you enjoy getting dressed up for the holidays? Hi! It’s Leslie from Pink Stripey Socks. My preschooler loves wearing special outfits for different holidays. 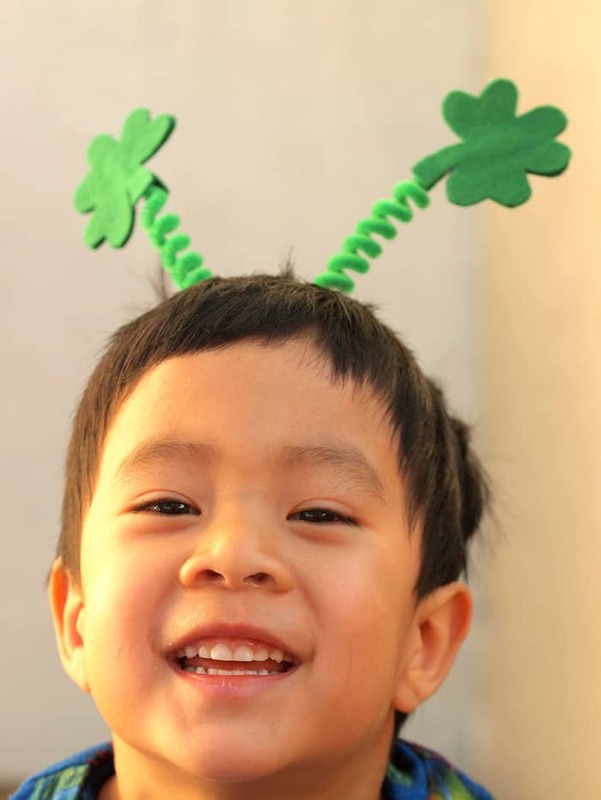 St. Patrick’s Day is just around the corner, so I whipped him up this adorable shamrock headband to wear to school. 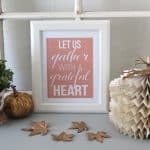 And here’s the best part – it’s made using items that we already had at home! Now he’s ready to celebrate the holiday in style. You can too with this unique shamrock craft! Ok! 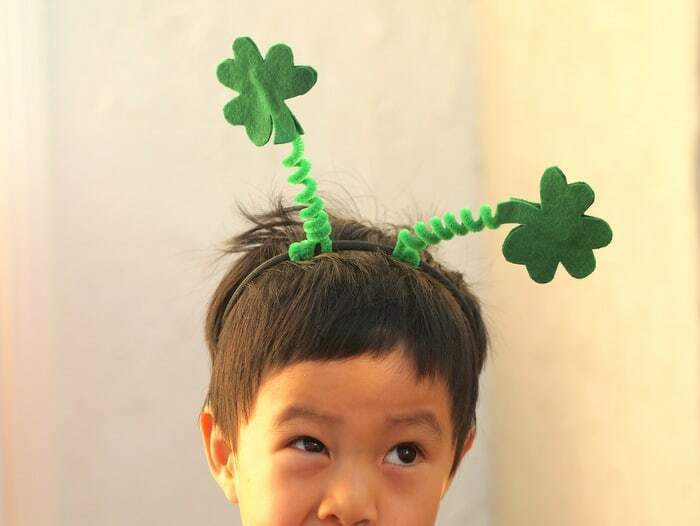 Let’s make a shamrock headband! 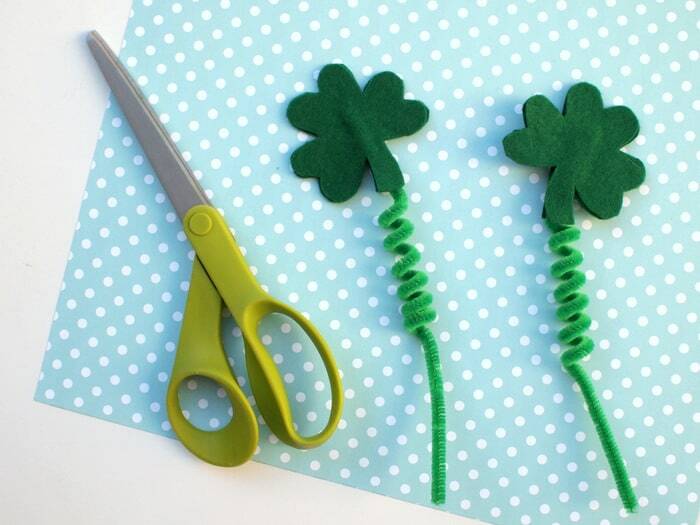 Hot glue your felt shamrocks to your pipe cleaners. Use a scissor to trim off any excess bits. 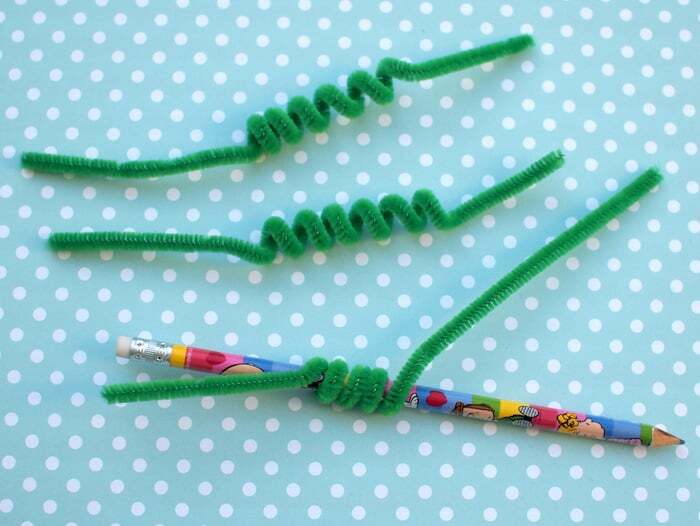 Coil your pipe cleaners around your headband. Voila, you’re done! 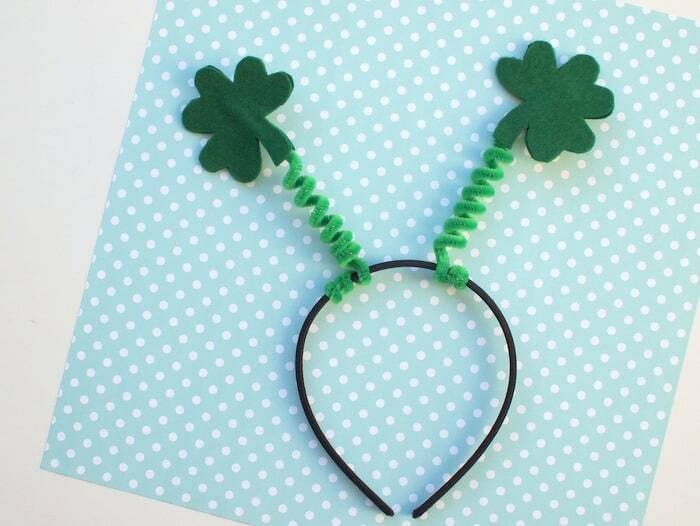 You’ve made your very own green accessory for St. Patrick’s Day! 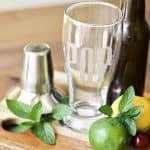 And if you’re looking for other fun, kid friendly St. Patrick’s Day activities, check out the links below! 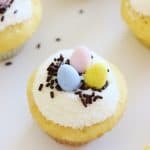 For even more fun easy and family-friendly ideas, you can also peek at my blog Pink Stripey Socks or my Facebook, Instagram, and Pinterest accounts!